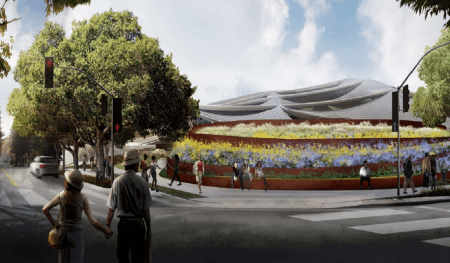 Google reveals plans for new ‘flower power’ campus in Mountain View to take on Apple’s Spaceship.Google is known for their amazing offices around the world, Not to be outdone by Apple’s “Spaceship” campus, Google has received approval to build its own futuristic-looking headquarters in Mountain View. 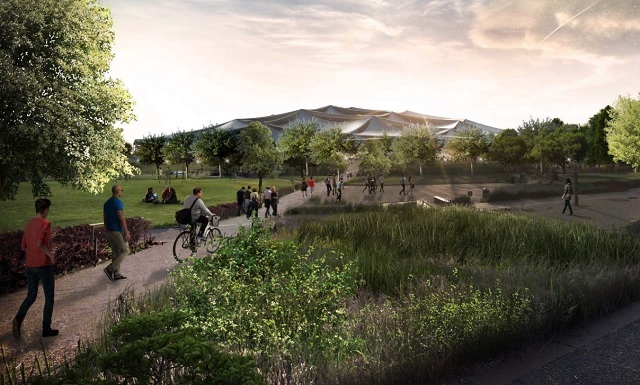 This eye catching Google headquarters will be the second largest office space on this planet. 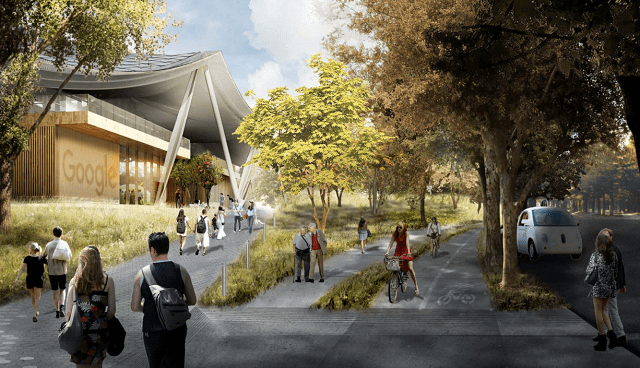 Two years back in May 2015 Google had given an proposed application to construct a Two level 5,95,000 square feet office building on a 18.6 acre plot. The approval was given by mountain view city council on 7th March 2017. The building is designed by Heather studio and Bjarke Ingles Group and the structure was named as ‘Charleston East’ . The project is located in North BayShore precise plan area. 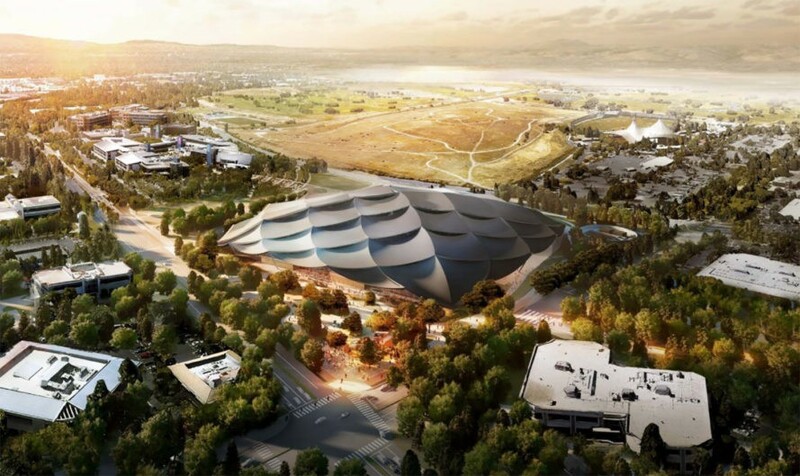 Google Headquarters in mountain view looks like a Modern Arabic Tent like structure and probably in coming months they would be starting with their construction and they are hoping that it would be completed by 2019. Canopy regulates climate and air quality inside of the building and also minimizes noise. 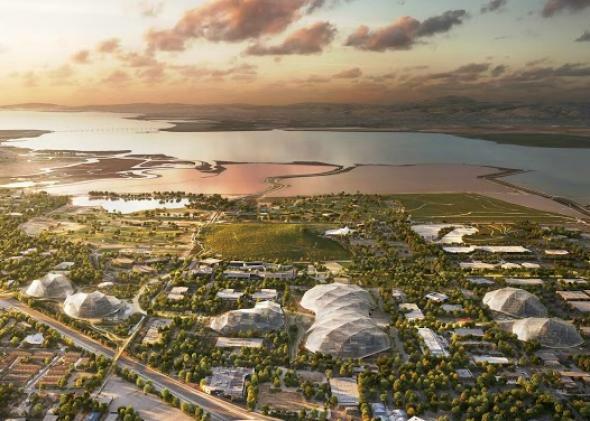 Council Google’s new campus Charleston East will be located next to the current googolplex in Mountain View California the new campus is such a feature of 595 thousand square foot to level office building with a basement the roof will be installed with solar panels. The irregularly shaped clear stories are designed to bring direct indirect and diffuse natural light into the building. The glass is equipped with automated shading devices that allow localized a lighting control the ground floor of the building is open to the public with a pedestrian pathway cutting through the building visitors can enter the building to dine and shop in the same restaurants and shops. 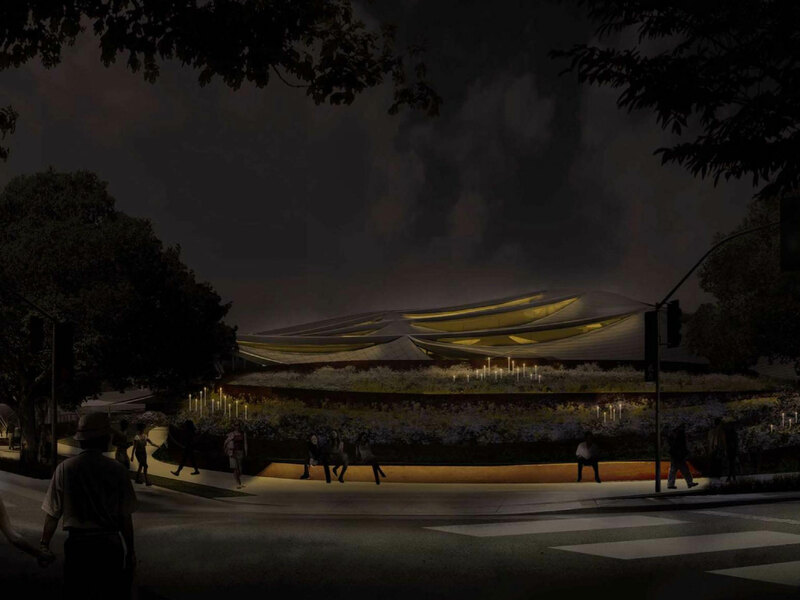 As Google employees the new campus will also feature a Plaza for the public to relax and enjoy performances the second floor of the building will be used as office space for Google employees. Charleston East will have a capacity of around 2,700 employees.Google vice president for real estate David Radcliffe said in a blog post from 2015.